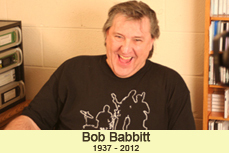 We are deeply saddened by the loss of our dear friend, Bob Babbitt. Bob was a pivotal member of the Funk Brothers and his bass can be heard on more than 200 Top 40 hits. Bob's infectious laugh and sense of humor was matched only by his impeccable professionalism. There will never be another. Rest in peace, Bob. Motown's legendary Funk Brothers and members of Philadelphia's world renown MFSB take you "back in the day" with an album filled with classic Philly and Motown hits. Now available for $24.99! Support the Old School. 100% pre-shrunk, cotton tee. Features the Masters of Funk, Soul and Blues logo on the front in gold and black with brown accents. Made in the USA, this shirt will let everyone know that you love live music and the genius behind these two musical giants.